Vocális Chamber Choir begins its 16th season with Seasons – Songs for Life’s Journey, a choral exploration of the universal changes and challenges of life. Concerts are Friday, Oct. 13, at 8 p.m. at Orchard Park Presbyterian Church, 4369 S. Buffalo St., Orchard Park, and Sunday, Oct. 15, at 4 p.m. at Westminster Presbyterian Church, 724 Delaware Ave., Buffalo. Vocális examines the many seasons of life in this reflective and uplifting concert. The performances include a diverse program featuring the music of Purcell, Finzi, Holst, Whitacre, Kirchner, Runestad and others. Tickets are available at the door one hour before the program, $15 for adults and $10 for students. For more information, please visit www.vocalischamberchoir.org. 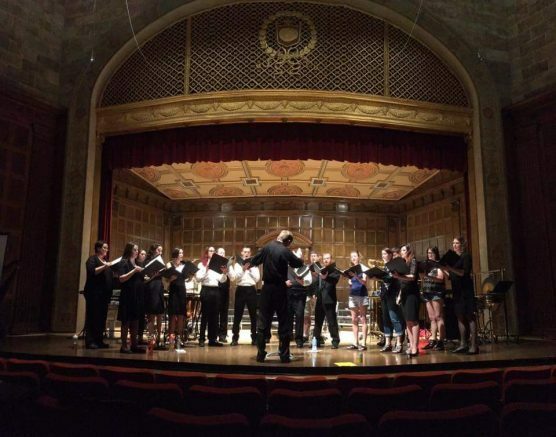 Be the first to comment on "Vocális Chamber Choir opens 16th season"